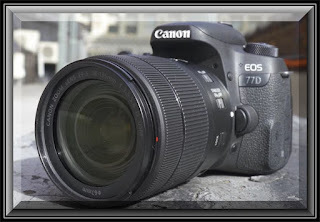 The Canon Eos 77D Setting Auto Focus. AF points in the viewfinder are arranged to make AF shooting suitable for a wide variety of subjects and scenes. You can also select the AF operation and drive mode that best match the shooting conditions and subject. 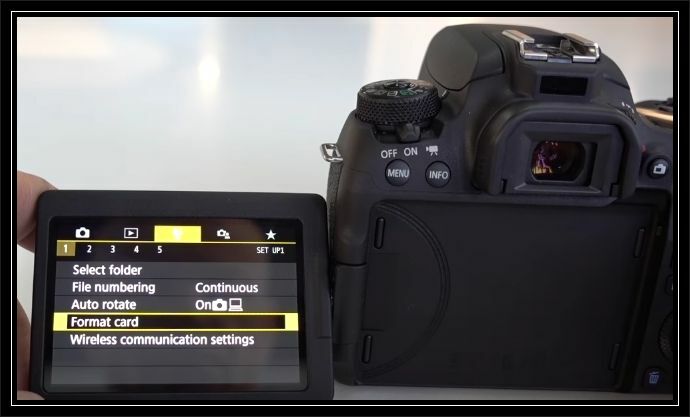 You can select the AF (autofocus) operation characteristics to suit the shooting conditions or subject. In Basic Zone modes, the optimum AF operation is set automatically for the respective shooting mode. Set the lens’s focus mode switch to <AF>. Turn the Mode Dial to a Creative Zone mode. Press the <AF> button. [AF operation] will appear. Select the AF operation. Press the <L> <R> keys to select the desired AF operation, then press <set>. Focus on the subject. Aim the AF point over the subject and press the shutter button halfway. The camera Canon Eos 77D will then autofocus in the selected AF operation. Suited for still subjects. When you press the shutter button halfway, the Canon 77D will focus only once. The AF point that achieves focus is displayed, and the focus indicator in the viewfinder will also light up. While you hold down the shutter button halfway, the focus will be locked. You can then recompose the shot if desired. If focus cannot be achieved, the focus indicator in the viewfinder will blink. If this occurs, the picture cannot be taken even if the shutter button is pressed completely. Recompose the shot and try to focus again. If [53: Beep] is set to [Disable], the beeper will not sound when focus is achieved. After achieving focus with One-Shot AF, you can lock the focus on a subject and recompose the shot. This is called “focus lock”. This is useful when you want to focus on a peripheral subject not covered by the Area AF frame. When a lens equipped with an electronic manual focusing function is used. This AF operation is suited for moving subjects when the focusing distance keeps changing. While you hold down the shutter button halfway, the canon will keep focusing on the subject continuously. When the AF area selection mode is set to Automatic selection AF, focus tracking will continue as long as the Area AF frame covers the subject. With AI Servo AF, the beeper will not sound even when focus is achieved. Also, the focus indicator <set> in the viewfinder will not light up. After the subject is focused in One-Shot AF, if the subject starts moving, the eos 77D will detect the movement, change the AF operation automatically to AI Servo AF, and start tracking the moving subject. When focus is achieved with AI Focus AF with the Servo operation active, the beeper will continue beeping softly. However, the focus indicator in the viewfinder will not light up. Note that focus will not be locked in this case. The camera has 45 AF points for autofocusing. You can select the AF area selection mode and AF point(s) suiting the scene or subject. Depending on the lens used, the number of usable AF points, AF point patterns, Area AF frame shape, etc. vary. You can select one of four AF area selection modes. Select one AF point to focus. One of nine focusing zones is used to focus. One of three focusing zones (left, center, and right) is used to focus. 1 Press the <AF start> or <AF poin selection> button. Look through the viewfinder and press the <AF selection> button. 2 Press the <playback> button. Each time you press the <playback> button, the AF area selection mode changes. You can manually select the AF point or zone. 1 Press the <AF area selection> button. The AF points will be displayed in the viewfinder. In the Zone AF mode or Large Zone AF mode, the selected zone will be displayed. You can select an AF point in horizontal direction with the <main dial> dial or vertical direction with the <quick control> dial. If you press <set>, the center AF point (or center zone) will be selected. In the Zone AF mode, turning the <main dial> or <quick control> dial will change the zone in a looping sequence. You can also select an AF point or zone in horizontal direction with the <L> <R> keys or vertical direction with the <up> <down> keys. Pressing the <AF poin> button lights up the AF points that are cross-type AF points for high-precision auto focusing. The blinking AF points are horizontal-line or vertical-line sensitive. The EOS 77D camera can transfer photos and videos to and from compatible devices, upload directly to various web services and more. Built-in NFC technology means it can connect directly to compatible devices by simply touching the NFC icon on the camera to the device. To start Canon Eos 77D Wireless Setup with, check if the access point supports WPS that allows easy Wi-Fi connection between Wi-Fi devices. If you do not know if the access point you use is WPS-compatible, refer to the access point instruction manual or other documentation. The following two Wi-Fi connection methods are available. Connection can be established easier with WPS (PBC mode). • Establishing a Wi-Fi connection with WPS (PBC mode): Perform the operations described on wards. • Establishing a Wi-Fi connection with WPS (PIN mode): Perform the operations described on wards. 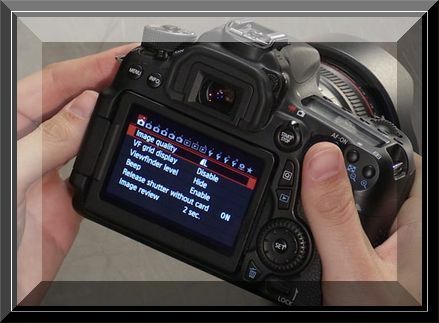 This camera eos 77D supports the following options for [Authentication] and [Encryption settings]. Therefore, when connecting to a detected network manually via Wi-Fi, the encryption used by the access point must be one of the following. This is a Wi-Fi connection mode available when using an access point compatible with WPS. In push button connection mode (PBC mode), the camera canon eos 77D and the access point can be connected via Wi-Fi simply by pressing the WPS button on the access point. If multiple access points are active in the surrounding area, it may be more difficult to establish a Wi-Fi connection. In such a case, try using [WPS (PIN mode)] to establish a Wi-Fi connection. It may take approx. one minute to establish a Wi-Fi connection. 1 Press the <wifi> button. If the history is displayed, switch the screen with the <L> <R> keys. If the [Wireless communication settings] screen is displayed, set the Wi-Fi settings. Press the <Up> <Down> or <L> <R> keys to select an item, then press<set>. 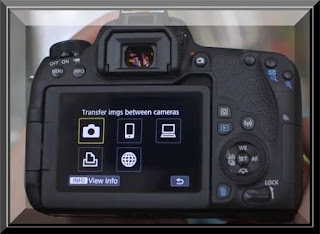 For (Transfer imgs between cameras), see “Connecting to Another Camera via Wi-Fi”. Depending on the selected Web service, the [Send to] screen is displayed. Select a destination. 3 Select [Register a device for connection]. Not displayed when a Web service is selected in step 2. Proceed to step 5. When [smartphone] (Connect to smartphone) is selected, the screen on the left is displayed. If Camera Connect is already installed, select [Do not display] and press <set>. 5 Select [Connect with WPS]. 6 Select [WPS (PBC mode)]. 7 Connect to the access point via Wi-Fi. Press the access point’s WPS button. For details about where the button is located and how long to press it, refer to the access point’s instruction manual. Select [OK] and press <set> to establish a Wi-Fi connection with the access point. When a Wi-Fi connection with the access point is established, the next screen is displayed. Select [OK] and press <set> to display the setting screen for the Wi-Fi function selected in step 2. If [Auto setting] results in an error or if you want to specify the settings manually,. 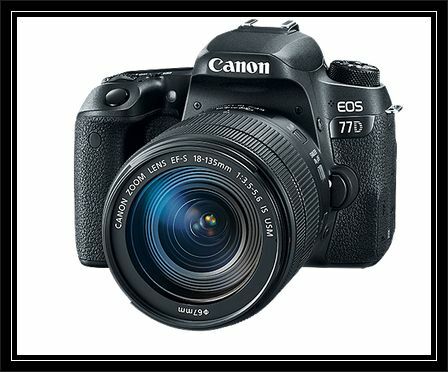 This is a Canon Eos 77D Wireless Setup connection mode available when using an access point compatible with WPS. In PIN code connection mode (PIN mode), an 8-digit identification number specified on the camera is set at the access point to establish a Wi-Fi connection. Even if there are multiple access points active in the surrounding area, a relatively reliable Wi-Fi connection can be established using this shared identification number. Press the <Up> <Down> or <L> <R> keys to select an item, then press <set>. Depending on the selected Web service, the [Send to] screen is displayed. Select a destination . When [smarphone] (Connect to smartphone) is selected, the screen on the left is displayed. If Camera Connect is already installed, select [Do not display] and press <set>. 6 Select [WPS (PIN mode)]. 7 Specify the PIN code at the access point. At the access point, specify the 8-digit PIN code displayed on the camera’s LCD monitor. For instructions on setting PIN codes at the access point, refer to the access point’s instruction manual. After the PIN code is specified, select [OK] and press <set>. 8 Connect to the access point. Featuring an optical viewfinder with a 45-point all cross-type AF system1 and fast, accurate Dual Pixel CMOS AF with phase-detection, the EOS 77D camera helps you capture the action right as it happens. Extensive, customizable controls and brilliant image quality help you get the photo looking exactly how you want it. Capture vibrant colors and fine details with the 24.2 Megapixel CMOS (APS-C) Sensor. Without missing a beat, check and change your settings with the top-mounted LCD screen and rear Quick Control dial. When you’re satisfied with your results, built-in Wi-Fi2, NFC3 and Bluetooth4 technology lets you easily share your favorite photos and videos. This section describes how to connect the camera Canon EOS 77D directly to a printer via Wi-Fi. Wi-Fi connection is possible with Wi-Fi printers supporting PictBridge (Wireless LAN). To connect via Wi-Fi using an access point, see “Advanced Wi-Fi Connection”. Follow the procedure Canon Eos 77D Connecting to a Printer Via Wi-Fi connection between a printer and the camera. To establish a Wi-Fi connection, operations on the printer are required. For details, refer to the printer’s instruction manual. 2 Select [print] (Print from Wi-Fi printer). If the history is displayed, switch the screen with the <R> <L> keys. 4 Check the SSID and password. Check the SSID (network name) and password displayed on the camera’s LCD monitor. In [Wi-Fi settings], if you set [Password] to [None], the password will not be displayed or required. 5 Operate the printer to connect it to the camera via Wi-Fi. On the Wi-Fi settings menu of the printer to be used, select the SSID you have checked. For the password, enter the password checked in step 4. 6 Select the printer to connect to via Wi-Fi. When a list of detected printers appears, select the printer to connect to via Wi-Fi, then press <set>. Some printers may make a beeping sound. When 16 or more printers are detected or the search takes over 3 minutes, you can select [Search again]. When a Wi-Fi connection is established, an image on the card will appear. 7 Select the images to be printed. 1 Select an image to print. Press the <R> <L> keys of the cross keys to select an image to print,then press <set>. By pressing the <Search again> button, you can switch to the index display and select an image. When [Print] is selected, printing starts. When printing is complete, the screen for step 1 will reappear. To print another image, repeat steps 1 to 3. 4 Terminate the Wi-Fi connection. Press the <wifi> button to display the confirmation dialog. Select [OK], then press <set> to terminate the Wi-Fi connection. The [Print order] screen will appear. 3 Set the printing options. 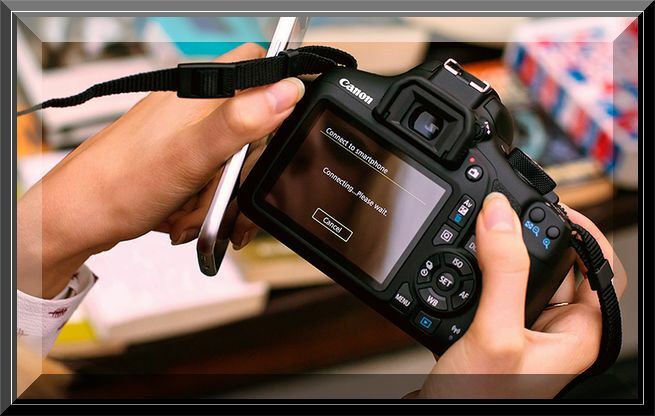 For the setting procedures, refer to “Digital Print Order Format (DPOF)” in the Camera EOS 77D Instruction Manual. If the print order is complete before establishing a Wi-Fi connection, proceed to step 4. [Print] can be selected only when an image is selected and printer is ready to print. Set the printing effects as necessary. When printing is complete, the screen for step 3 will reappear. 7 Terminate the Wi-Fi connection. With a Wi-Fi connection to a printer established, a picture cannot be taken even if the camera’s shutter button is pressed. Before printing, be sure to set the paper size. Certain printers may not imprint the file number. If [Bordered] is set, certain printers may imprint the date on the border. Depending on the printer, the date may appear faint if it is imprinted on a bright background or on the border. RAW images cannot be printed by selecting [Print order]. When printing, select [Print image] and print. When you use a battery to power the camera, make sure it is fully charged. Depending on the image’s file size and image-recording quality, it may take some time to start printing after you select [Print]. To stop printing, press <set> while [Stop] is displayed, then select [OK]. When printing with [Print order], if you stopped printing and want to resume printing of the remaining images, select [Resume]. Note that printing will not resume if any of the following occurs. You changed the print order or deleted any of the print ordered images before resuming printing. When index is set, you changed the paper setting before resuming printing. The card’s remaining capacity was low when you paused printing. Fascinating is the decision of the "Revolt"- lacking 77D name (however I admit to frequently not comprehension Canon's item name decisions). Standard expresses "The EOS 77D speaks to another classification of cutting edge novice EOS cameras, a stage over the Rebel arrangement." OK, yet there have been D models since right on time in the DSLR days, however all having an even tens number, maybe most eminently a 70D and a (current) 80D. While 77D numerically sorts in the vicinity of 70D and 80D and keeping in mind that I can comprehend the advertising methodology of breaking this camera out of the Rebel lineup to separate it, the Canon Eos 77D is not physically like whatever is left of the *0D models. Despite the fact that the 77D does not hold up under a "Revolt" moniker, it is extremely a Rebel-like camera and essentially is to the Rebel T7i what the Rebel T6s was to the Rebel T6i, by and by containing a superset of the elements found in the Rebel T7i. 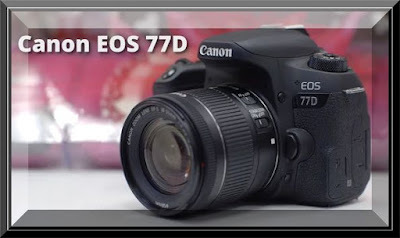 Canon Eos 77D Sending Images to a Smartphone, While a Bluetooth connection (Android only) or Wi-Fi connection is established, you can operate the camera to send images to a smartphone. There are two send methods. Select [Send images to smartphone] from the camera menu. Send images from the Quick Control screen during playback. Select [Send images to smartphone] from the camera menu and send images. 2 Select [Wireless communication settings]. Under the [select function 1] tab, select [Wireless communication settings], then press <set>. 3 Select [Send images to smartphone]. If you perform this step with a Bluetooth connection established, a message will appear and a Wi-Fi connection will start. 4 Select the images to send. Select and send image(s). For information on how to send images. 1 Connect the camera to a smartphone via Bluetooth (Android only) or Wi-Fi. 2 Play back the image. Press the <3> button to play back images. 3 Press the <Q> button. 5 Select the images to send. Select and send images individually. 1 Select an image to send. Turn the <Gear> dial to select an image to send, then press <set>. By pressing the <R,L,Up,Down> button, you can switch to the index display and select an image. 2 Select [Send img shown]. To select a size at which to send the image, select [Resize image] and press <set>. Select [Send img shown] and press <set> to send the image displayed. When the transfer is complete, the screen for step 1 will reappear. To send another image, repeat steps 1 and 2. Select multiple images and send them at once. If the multiple image selection screen is already displayed, start the operation from step 3. 3 Select the images to send. A checkmark [V] will be displayed on the upper left of the screen. By pressing the <R,L, - > button, you can select images from a three-image display. To return to the single-image display, press the <+> button. To select another image to send, repeat step 3. After selecting the images to send, press the <Q> button. On the displayed screen, select an image size, then press <set>. The images will be sent. When the transfer is complete, the screen for step 1 will reappear. To send other images, repeat steps 1 to 5. The Canon 77D Specify the range of images to send all the images in the range at once. 3 Specify the range of images. Select the first image, then press <set>. Select the last image, then press <set>. The [V] icon will appear on the selected images. To cancel the selection, repeat this step. 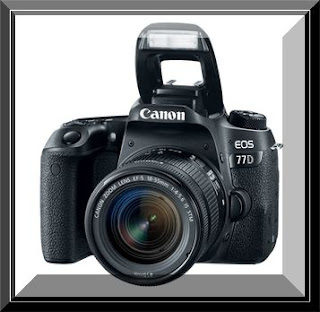 Canon EOS 77D Send all images on the card at once. 2 Select [Send all card]. Send all the images that match the search conditions set in [Set image search conditions] at once. Conditions” in the Camera Instruction Manual. 2 Select [Send all found]. 1 Press the <Menu> button. If you send images by operating the camera with a Wi-Fi connection established, the previous screen will reappear. The Wi-Fi connection will not be terminated. If you send images by operating the camera with a Bluetooth connection established, the screen on the left will appear. 2. Select [OK], then press <set> to terminate the Wi-Fi connection. You can specify images viewable on a smartphone by operating the camera. Images can be specified after the Wi-Fi connection is terminated. 3 Select [Edit device information]. Select the smartphone on which you want to make the images viewable. Specify viewable images on the shooting-date basis. Images shot up to nine days ago can be specified. Select an item, then press <set>. When [Images shot in past days] is selected, images shot up to the specified number of days before the current date become viewable. When is shown for the number of days, press the <Up> <Down> keys to specify the number of days, then press <set> to confirm the selection. Select [OK] and press <set> to specify the viewable images. Specify viewable images depending on whether a rating is appended (or not appended) or by the type of rating. Select a rating, then press <set> to specify the viewable images. Select the first and last images from images arranged by the file number to specify the viewable images. 1 Press the <L> <R> keys to select the first image to be set as viewable. 2 Press <set> to display the image selection screen. Select an image using the <L> <R> keys or <gear> dial. By pressing the < - > button, you can switch to the index display and select an image. 3 Select an image and press <set> to set it. 4 Use the same operation to specify the last image file to be set as viewable. Select an image shot later than the image selected as the first image. The Canon EOS 77D (EOS 9000D in Japan) is a midrange DSLR that sits between the Rebel T7i and EOS 80D. It elements Canon's commonplace 24MP CMOS sensor and utilizations the organization's most up to date DIGIC 7 processor. Double Pixel AF is implicit for responsive AF and great subject following in live video and motion picture mode and, for shooting with the optical viewfinder, there's a 45-point all cross-sort framework. The camera has a completely articulating 3" touchscreen LCD alongside an OVF with 95% scope. It can catch Full HD video at 60p at a maximum piece rate of 60Mbps. Remote components incorporate Wi-Fi, NFC and Bluetooth. Install Camera Connect on the smartphone before setting up a connection. For procedures to connect to an NFC-compatible smartphone via Wi-Fi, see “Connecting to an NFC compatible Smartphone via Wi-Fi”. To connect via Wi-Fi using a Wi-Fi access point, see “Advanced Wi-Fi Connection”. When you connect the camera eos 77D to a Bluetooth compatible smartphone via Bluetooth, you can establish a Wi-Fi connection by operating only the camera or the smartphone. That pairing between the camera and smartphone is required to connect the camera to a smartphone via Bluetooth. Pairing will be done as part of the Bluetooth connection procedure. Pairing and Bluetooth connection are not possible if the camera is connected to Connect Station, a computer, a GPS receiver, or another device with an interface cable. Pairing is not possible while shooting with the camera. The camera cannot be connected to two or more devices at the same time via Bluetooth. If you connect the camera to a smartphone via Wi-Fi while the camera is connected to Wireless Remote Control BR-E1 (sold separately) via Bluetooth, the Bluetooth connection with the wireless remote controller will be terminated. Bluetooth connection consumes battery power even after the camera’s auto power off has activated. Therefore, the battery level may be low when you use the camera. The Bluetooth connection will be terminated if you turn off the camera or smartphone, but when you turn on the power, the Bluetooth connection will resume for the same combination of camera and smartphone. This camera can be connected to Wireless Remote Control BR-E1 via Bluetooth for remote shooting. 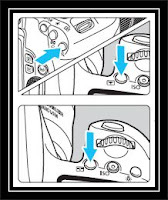 For details, refer to Wireless Remote Control BR-E1 Instruction Manual. 1 Select [Wireless communication settings]. Press the <Menu> button, select [Wireless communication settings] under the [Function Settings]tab, then press <set>. will be displayed on the camera’s LCD panel. 6 Select [Do not display]. If Camera Connect is already installed, select [Do not display] and press <set>. If Camera Connect is not installed, select [Android] or [iOS] on the screen on the left, scan the displayed QR code with the smartphone, then access Google Play or the App Store and install Camera eos 77D Connect. 7 Activate the smartphone’s Bluetooth function. 9 Select the camera to pair with. Tap on the nickname of the camera to be paired. When the screen on the left appears, tap on [Pair]. Pairing will complete and the camera will be connected to the smartphone via Bluetooth. An illustration indicating that a Bluetooth connection has been established will appear on Camera eos 77D Connect. With a Bluetooth connection established, you can operate the camera to send images to the smartphone. Canon Eos 77D setup Bluetooth connection to smartphone is established, follow the steps below to establish a Wi-Fi connection. Select the Camera Connect function you want to use. A Wi-Fi connection will be established automatically. 2 Check the SSID and password. Check the SSID (network name) and password displayed on the camera. 3 Operate the smartphone to establish a Wi-Fi connection. On the smartphone’s Wi-Fi function screen, select the SSID checked in step 2. For the password, enter the password checked in step 2. The password will not be required from the next time you connect the camera to the smartphone via Wi-Fi. When a Wi-Fi connection is established, the screen for the selected function will appear. The [Wi-Fi on] screen will appear on the camera’s LCD monitor. An illustration indicating that a Wi-Fi connection has been established will appear on Camera Connect. The Wi-Fi connection to a Bluetoothcompatible smartphone is now complete. Terminating the Wi-Fi connection will switch the camera to the Bluetooth connection. You can check the settings. When a Wi-Fi connection error occurs, you can check the details of the error. To switch to the menu, press the <Menu> button. You can use a smartphone with Camera Connect installed to view images stored in the camera or perform remote shooting, etc. The main functions of Camera Connect are described below. Images stored in the camera can be viewed. Images stored in the camera can be saved on a smartphone. Operations such as deletion can be performed on images stored in the camera. The camera’s Live View image can be viewed on a smartphone. You can shoot with remote operation. Not supported on this camera. Camera settings can be changed. To terminate the Wi-Fi connection, perform either of the following operations. On the smartphone’s Camera Connect screen, tap on [x]. On the camera’s [Wi-Fi on] screen, select [Disconnect,exit]. If the [Wi-Fi on] screen is not displayed, press the <wifi> button. Select [Disconnect,exit], then select [OK] on the confirmation dialog to terminate the Wi-Fi connection. You can check the name and communication status of the paired device. To remove the paired device, press the <info> button. To pair the camera with another smartphone, remove the currently paired device’s registration. 1 Select [Check/clear connection info]. On the [Bluetooth function] screen, select [Check/clear connection info], then press <set>. 2 Press the <info> button. 3 Remove the device registration. When the screen on the left appears, select [OK], then press <set>. 4 Remove the camera registration. Remove the camera registration in the Bluetooth settings. The Canon release Canon Eos 800D and Canon Eos 77D. Let your creativity take control with the EOS 77D camera. Featuring an optical viewfinder with a 45-point all cross-type AF system* and fast, accurate Dual Pixel CMOS AF with phase-detection, it helps you capture the action right as it happens. Alongside the viewfinder, the EOS 77D's extensive, customizable controls and brilliant image quality help you get the photo looking exactly how you want it. Capture the vibrant colors and fine details of inspirational scenes with the 24.2 Megapixel CMOS (APS-C) Sensor. Without missing a beat, check and change your settings with the top-mounted LCD screen and rear Quick Control dial. When you're satisfied with your work, built-in Wi-Fi, NFC and Bluetooth technology lets you easily share your favorite photos and videos. Creative control and innovative customizability comes with the EOS 77D. The Canon EOS 77D camera’s optical viewfinder gives professional-level control and convenience by letting you see exactly what the lens sees in a variety of lighting conditions. A 45-point all cross-type autofocus system helps you get what you want in focus, quickly. This comes in especially handy when trying to photograph fast-moving subjects, like athletes racing to score a goal or excited, playful pets. With minimal glare and minimal lag between what you see and what the camera captures, you could be on a dazzling beach photographing surfers or snapping a brilliant image of your friends dancing at midnight, and you can get the shot you want. 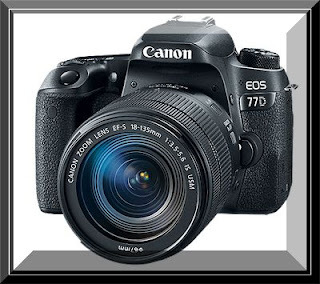 Canon Eos 77D Manual guide Featuring an optical viewfinder with a 45-point all cross-type AF system and fast, accurate Dual Pixel CMOS AF with phase-detection, the EOS 77D camera helps you capture the action right as it happens. Extensive, customizable controls and brilliant image quality help you get the photo looking exactly how you want it. Capture vibrant colors and fine details with the 24.2 Megapixel CMOS (APS-C) Sensor. Without missing a beat, check and change your settings with the top-mounted LCD screen and rear Quick Control dial. When you’re satisfied with your results, built-in Wi-Fi2, NFC3 and Bluetooth4 technology lets you easily share your favorite photos and videos. The EOS 77D camera’s optical viewfinder gives professional-level control and convenience by letting you see exactly what the lens sees in a variety of lighting conditions. A 45-point all cross-type autofocus system1 helps you get what you want in focus, quickly. This comes in especially handy when trying to photograph fast-moving subjects. With minimal glare and minimal lag between what you see and what the camera captures, you can get the shot you want.